Family Struggle Leads to Creation of Startup Nouvo, a Smart Pacifier! Amaury Saulsberry, CEO & Founder of Nouvo talks about the entrepreneurship ecosystem at Illinois, what inspired him to launch Nouvo, fear of public speaking and what it was like to introduce Former President Barack Obama on his visit to campus in September 2018. About Nouvo: Nouvo is developing a smart pacifier that is able to detect acidity levels in the baby’s saliva as a biomarker for acid reflux and airway complications in infants. The data is sent to users' mobile devices that can help parents understand the symptoms, and also help streamline physicians’ decision-making process. 1. How did the idea of Nouvo come about? Did you have many ideas in your mind before you chose to pursue Nouvo? In 2016, my little brother was born, and he showed signs of complications. He would cry and look like he was in pain throughout the day. He would spit up at least 20+ times every single day. My mom knew something was wrong, but after countless doctors’ visits, the most she got from them was “All babies spit up”. As you can imagine, dealing with a fussy and cranky baby 24/7 is a lot, especially when you don't know what’s causing the pain and discomfort. Ultimately, we found out he had a severe case of acid reflux (GERD) which over the 3-month span had damaged 80% of his esophagus. Not only did it cause long-term effects on my brother, but my mom went into postpartum depression during the long 3 months of not knowing what was wrong. I analyzed certain things that I noticed with my little brother; one main thing was that his spit used to burn. He spat in my dad's eye one time and it actually burned. I figured doctors should've been able to recognize that or a product would've been able to detect it, but that wasn’t the case. So I created Nouvo. Fast forward, as a creative thinker and a designer, I’m always looking for new or more efficient ways to solve a problem. 2. Did you always dream of launching your own company? I’ve always wanted to create meaningful products or services around a certain problem. But with Nouvo, I think watching my brother have to deal with constant pain and discomfort, and watching my parents struggle to understand or even help my brother, motivated me to launch Nouvo. I learned that many families go through the struggle of not knowing what is wrong with their baby. It’s incredibly hard to watch your child constantly cry and show signs of discomfort, and you aren't able to soothe them. As a parent, that does something to you. I believe situations like mine are when the most meaningful things are thought of and created. 3. Do you think college is the right time to launch a startup? Why or why not? I think college is the RIGHT PLACE to launch a startup, mainly because of the available resources that you have as a college student. A lot of resources are right in front of you when you’re in college. As far as timing, I believe that there is no time like the present. Why not start right at this very moment? 4. How is the entrepreneurship ecosystem at Illinois helping? Illinois is incredible when it comes to entrepreneurship. It’s birthed a lot of incredible companies and is still producing talent to this day. We’ve taken advantage of TEC, Research Park, and all of the TE courses. We’ve really been involved in the ecosystem and it’s opened opportunities and connections. 5. You won the Top Newcomer Award at Cozad New Venture Competition in 2018 that also came along with about $25,000 worth of assistance from the Intellectual Property Clinic. How did the experience of participating in a competition like Cozad help? I think it impacted me more as an individual. This was my first time actually broadcasting all of the work that I’ve been doing. I’m usually a guy that just puts his head down and works in stealth mode. Participating in Cozad and actually winning two awards gave me validation that my hard work was paying off. 6. You are also in the iVenture Accelerator 2018-19 Cohort? How is the experience helping? iVenture really made me step up and talk more. As I said, I’m more of a stealth mode type of person. I stay to myself and work like hell. iVenture taught me the value of collaborating. 7. How did you meet your teammates? Trevor Sibby (Industrial Design, '20), who is my COO, has been my best friend since 5th grade. He knows me better than anyone, which is why he has the COO role. He’s my right-hand man. If you don't see me, you'll see him. We’ve been hustlers since the 5th grade. Akeem Kennedy (Electrical and Computer Engineering, '20), who is the CTO, has been one of my closest friends since I stepped foot on campus in 2015. He’s an electrical engineer, and he knows his stuff. He just completed an internship at General Electric, this past summer, working on sensors. I lucked out on Jacob Komenda (Chemical and Biomolecular Engineering, '18) and Siyu Ai (Industrial Design, '18), both who are super talented and down-to-earth. I think the biggest thing I would like to emphasize is the energy we share. We are all pretty much in sync with each other. We’re able to go out and enjoy each other’s company but we all know when it’s time to work, it’s time to work! 8. What kind of market research did you do for Nouvo? Are there similar products in the market? There are a few products in the market that are geared toward sensing baby’s health. Only one is similar to ours, it senses temperature and is Bluetooth enabled. The difference with Nouvo is that we’re looking to do much more with it. We want Nouvo to be able to detect specific biomarkers in the child’s saliva that are connected with illnesses and diseases, like acid reflux (GERD). Our mission is to provide parents with a peace of mind by allowing them to know and understand what’s going on with their child. 9. Do you have the prototype ready? What plans do you have to commercialize your startup? I am currently working on the second model. Since iVenture we’ve been focusing on creating the second prototype, that’s been our main focus. We’ve been bootstrapping since day one. We’ll continue to do so, applying to competitions, grants, etc. 10. What is your daily schedule like? How do you manage your time? I’m in class the majority of my day so I tend to work on Nouvo at night or much earlier in the mornings. I have two whiteboards in my room that get me through my tasks and a list of reminders in my cell phone. I don't live by a calendar, I live by my reminders. 11. What according to you is the biggest challenge when choosing entrepreneurship? Advice for aspiring entrepreneurs? Fear of the risks involved. It’s good to be aware that everything you do in life comes with risk. Nothing is guaranteed. If you’re passionate about something, then go for it! But when you go for it, go full force at it. Put your head down and put in those long hours because that's what it’s going to take. You have to keep that in mind, none of this is easy. Stay consistent and work! 12. 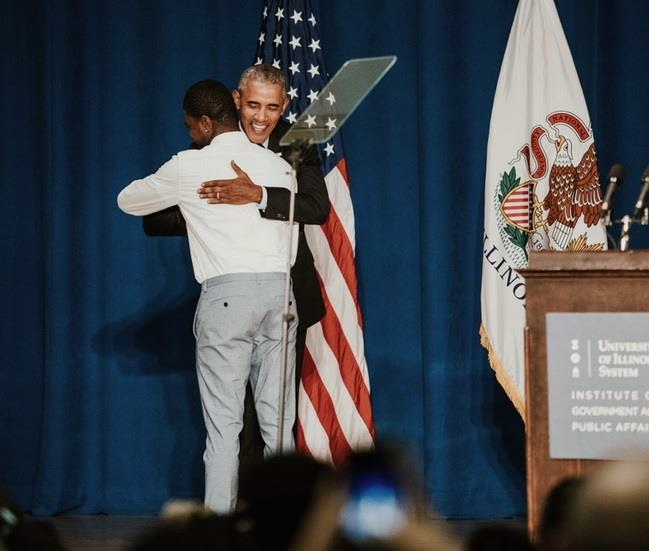 What kind of reaction did you get from everyone after you came into the limelight for introducing Barack Obama on his last visit to the campus in September 2018? What was the first thought that came to your mind when you learned you were chosen to introduce Barack Obama? I was bombarded with congratulations and praises. It was incredible. I still get people who come up to me asking if I’m the guy who introduced him. My first thought was like “wow...I really just accepted to do this...what was I thinking” That’s only because I hate public speaking. But once I calmed down and realized that this was a huge honor, I felt excited! How often do you get this opportunity? 13. What’s next for Nouvo and you? Future Plans? The plan is to complete the second prototype of the pacifier, start the testing process, and actively raise more money. Stay tuned! 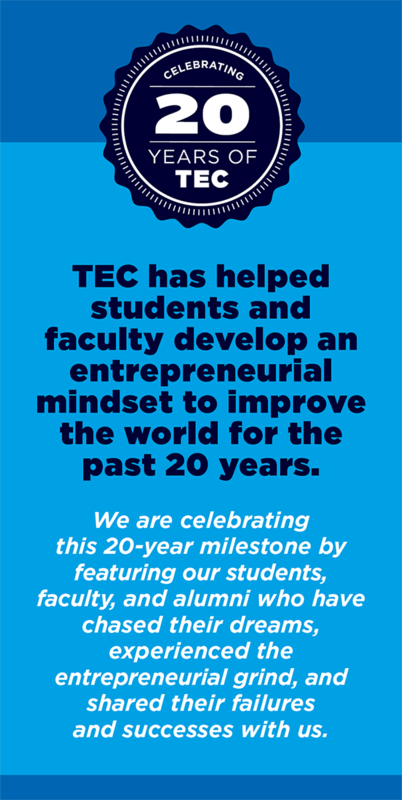 Learn about other Featured Innovators!